Recently EVKM Instructors Ivvette and Sara completed and passed their Level 4 Krav Maga Instructor Certifications! This certification course was held at CSA Gym in Dublin, CA and administered by the Krav Maga Alliance. 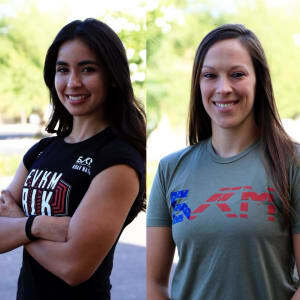 Both Ivvette and Sara have been training and teaching for many years, and both began their Krav Maga journey as students at EVKM. Ivvette holds the rank of Black Belt and Sara holds the rank of Brown Belt. All EVKM instructors are certified through the Krav Maga Alliance.